At a pan-African conference with more than 40,000 delegates, one imagines that a not insignificant proportion of attendees are parents of young children. There is also the emerging trend of business travellers who take their children along on business trips, out of choice or circumstance, as I tend to do. Yet when I asked the conference organisers if they had considered adding a childcare booth as part of the conference amenities, I was met with bewilderment. I shouldn’t be surprised. I have hosted a conference in Cape Town myself and not once did the thought of childcare enter my mind. We live in a world with hard boundaries between the spheres of paid work and care work. Parents have to split themselves into parts, and in many ways, it remains taboo to let these spheres intersect. On my first business trip with my baby daughter, I had to attend a two-day conference held at a hotel outside Stellenbosch. I booked into the hotel, located on a large property with lovely walkways and with one of the rooms converted into a cosy playroom. This was not a good way to start, because it was too easy and convenient, and raised my expectations. On the next trip, I ended up at a high-end hotel in the Cape Town central business district. It had great facilities but on inquiring about the playroom I was informed that the hotel caters to business travellers. I, too, am a business traveller. Once, a client-side colleague on a project told me that when she had a young baby that fact was not visible in her work life. She was juggling graduate school and building a consultancy and none of the people she encountered in her work-life would have guessed that she had a newborn. The implicit advice was that I do the same lest I lose out on opportunities. In the context of our conversation, that advice did not come across as harsh as it might sound and was probably a little exaggerated. But it still raises concern. Have we set up workspaces where parenting has to be invisible? Where it’s aspirational to take time off for a soul-searching sabbatical but admitting to the demands of childcare seems like shirking? As one who acts as an adviser to organisations in various capacities, I have a vantage point into the diversity of support offered to parents in the workplace. I have had to pump breast milk in bathrooms (would you make a sandwich in a bathroom? ), once in a Top 40 CEO’s office suite (a lovely gesture aimed to conceal inadequate facilities) or at the airport clinic en route to an institution I knew would be hopeless on that front. But the worst part about pumping is the product. 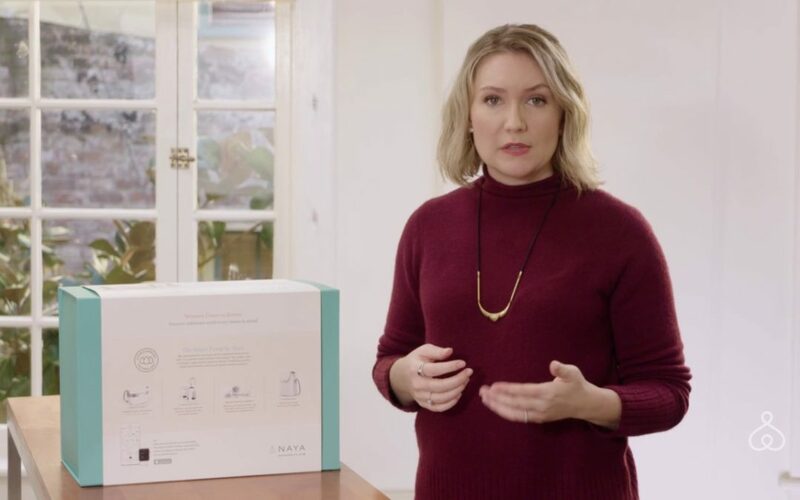 A US woman entrepreneur, founder of Naya Health Janica Alvarez, set out to revolutionise the user experience with a smart pump that does not make the hideous sound, collects more milk (and useful data) and is truly portable. But she is reported to be struggling to raise the next level of financing from (male-dominated) venture capital firms. Global health guidelines are unanimous on the value of breast milk, but financiers fail to appreciate the opportunity to transform the user experience. Finally, I should mention I’ve begun to make a conscious effort to refer to “parents” in discussions, because they so easily scale down to the challenges facing working mothers. The triumphs and trials of modern parenthood are framed as if men are not part of the equation. It is dismissive of fathers, and families led by men only, to proceed from the assumption that a woman should always be the lead parent.